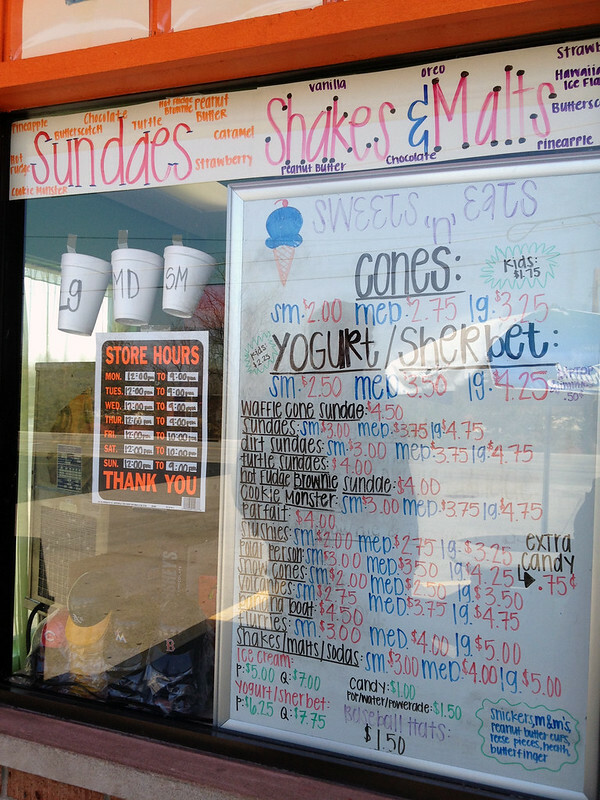 Summertime is primed for ice cream, and lucky for us, Cincinnati is home to a plethora of dairy delights. 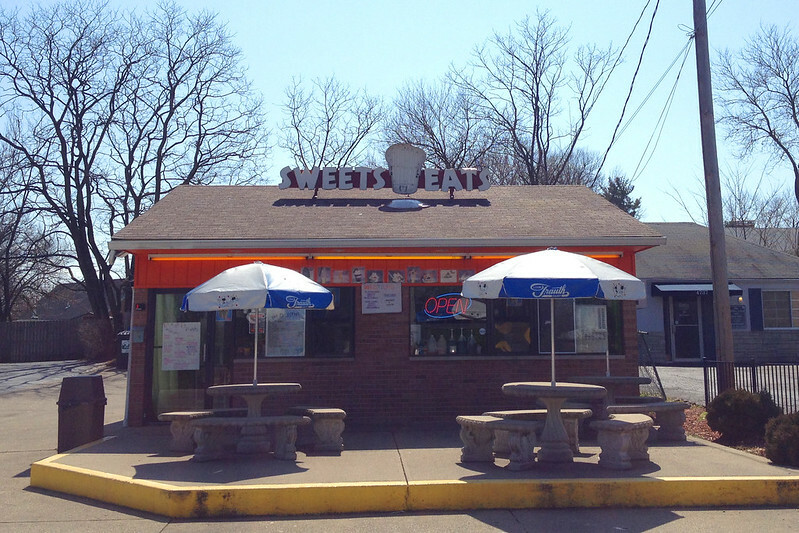 Creamy Whips, the independent, soft serve ice cream shop with a walk-up window are as iconic to the season as Reds baseball, swimming pools, and hot dogs on the grill. That's why CincyWhimsy is starting a series of posts, Creamy Whip Tuesdays, as we visit each sweet spot in town. The first treat of the year occurred early in the season: the beginning of April. A West Side novice, our introduction to Delhi Chili also became our first visit to Sweets N' Eats, which is located next door. Could you ask for a better combination: chili and ice cream? As per Creamy Whip protocol, each business has a signature dish. For Sweets N' Eats, that was the Blue hard-shell topping. 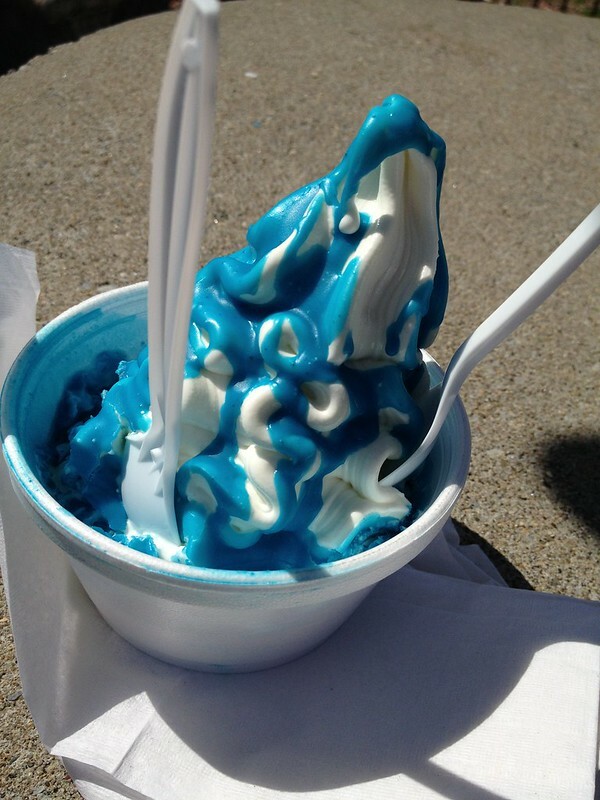 If you've grown up in Cincinnati, "Blue" is as serious a flavor as chocolate or cookies n' cream. Blue isn't cotton candy, bubble gum, blueberry, or blue raspberry flavored; it's a unique mixture of sugar and happiness, wrapped in a vibrant turquoise color. Naturally, I had to order this specialty Blue topping to cover my vanilla soft serve. It delivered as promised: a crunchy Blue coating and simple vanilla ice cream. While the leaves still had yet to appear on the trees; for me, Creamy Whip season was in full bloom. 4719 Delhi Ave, Cincinnati, OH 45238.